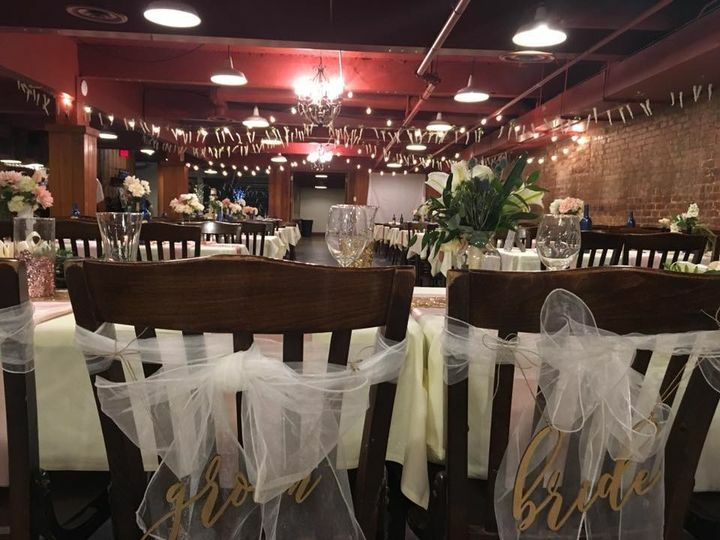 A vintage wedding venue located in the heart of downtown Lincoln, Nebraska, The Talon Room features a unique and rustic style that is sure to charm your guests. 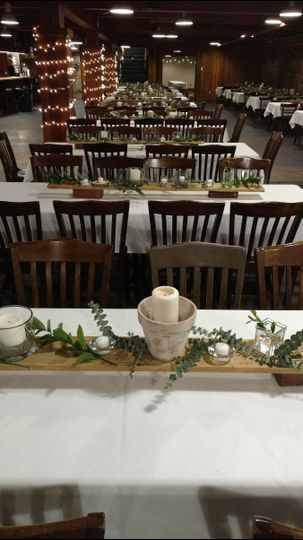 This banquet hall can easily be decorated to fit any wedding style or theme and is the perfect place for ceremonies, receptions, and rehearsal dinners, as well as bridal showers and engagement parties. 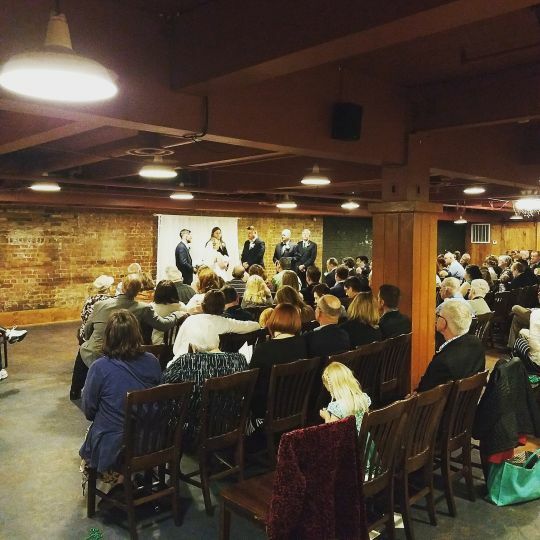 The staff at The Talon Room is committed to excellence and will help create the event of your dreams, from planning the whole event to the fine details that make your big day a success. The Talon Room is an indoor venue that can accommodate between 50 and 250 guests, including your furry companion. 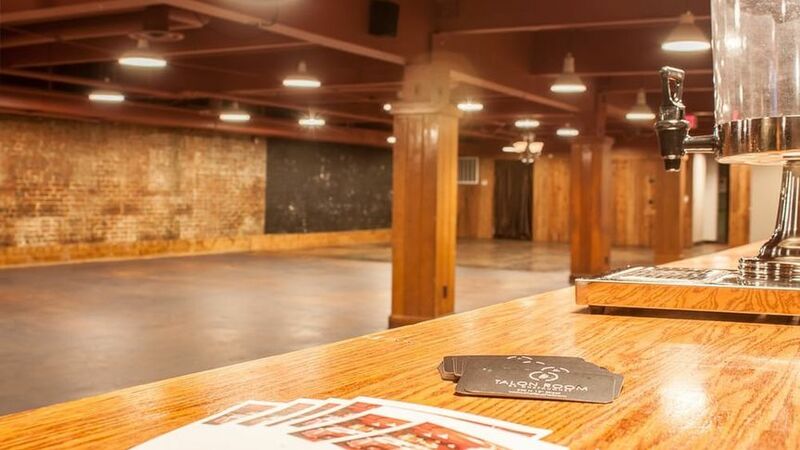 They have one room ready for you to put your distinctive touch on it, with a bar already set up. 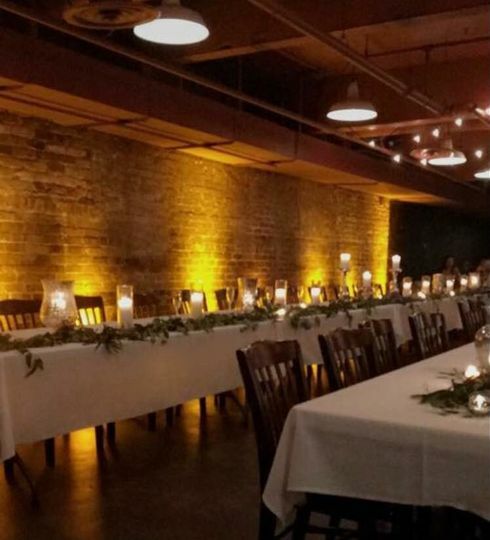 The venue features exposed brick and rustic wood details throughout. 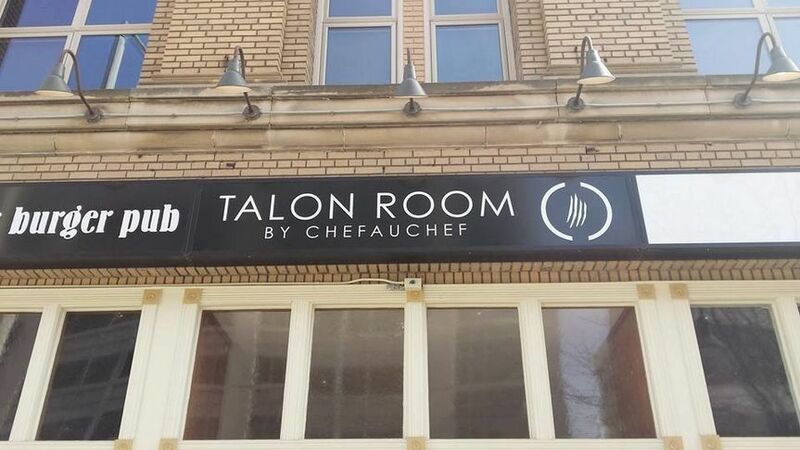 There is parking available, and the Talon Room is wheelchair accessible. 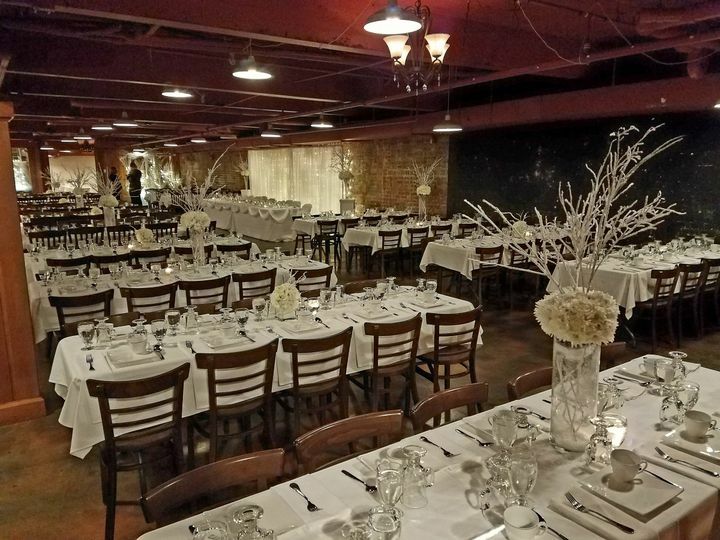 The Talon Room is available for single and multiple days for weddings and special events, and they offer event planning services to ensure your day unfolds exactly as planned. This venue offers all-inclusive packages and also allows outside vendors. Set up and teardown are included in their wedding packages, and their catered wedding package includes cake cutting. They have a selection of tables and chairs to choose from, and can provide linens and barware as well. The space also has wireless internet for your convenience. Featuring an in-house bar and catering kitchen, the Talon Room provides full-service beverage catering and Catering for dinner buffet options. Catering services include buffets and cocktail receptions, with food made locally. They are able to accommodate any dietary restrictions, with gluten-, lactose-, and nut-free options; no pork, kosher, and halal meals; and organic, vegetarian, and vegan possibilities. They also provide full bar service, and feature house beer, wine, and liquor, as well as premium and specialty drinks. Open, limited, and cash bars are welcome. Expert bartenders can also serve a signature drink and a champagne toast. 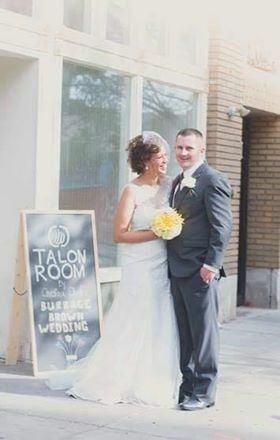 My husband and I had such a special wedding at The Talon Room. The building was perfect for us and Matt was so flexible and professional in helping us have such a beautiful day. We'll have these memories forever and we're so thankful for their great service. We would definitely recommend this place to anybody! Matt has been a breeze to work with. He has allowed my fiancé and I to tailor our wedding reception down to the little details. I can’t wait for our big day, and I know I won’t have to stress about our reception because of the support we have received from the Talon Room. I definitely recommend this venue to other Lincoln brides! 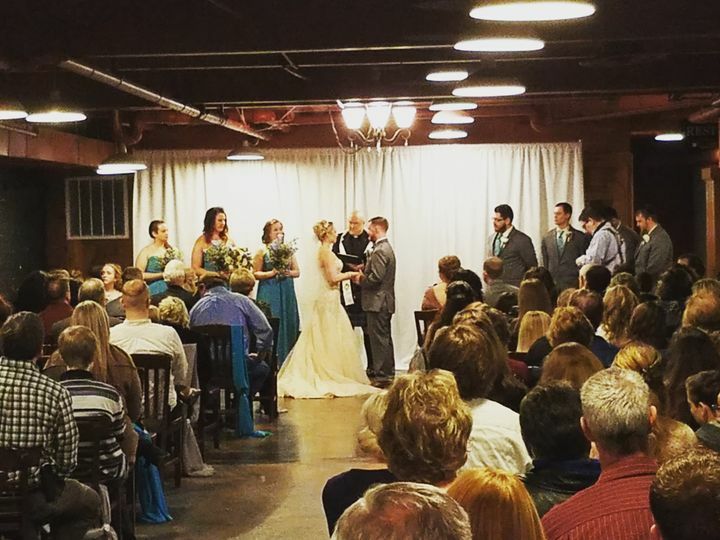 We had an amazing wedding at the Talon Room. The food and space were excellent and the entire Talon Room team was very accommodating and helpful. The day was truly perfect.